This study addresses the strategies for developing the cutting tools used in the material removal process called milling from the viewpoint of sustainable manufacturing. Sustainable manufacturing can be achieved by improving the material, energy, and component efficiencies, simultaneously. Cutting tools are just as important as machine tools and process planning to the achievement of the abovementioned efficiencies. Accordingly, this study describes two strategies based on high cutting velocity and feed per revolution, respectively. Exercising the strategy of high cutting velocity requires a Monte Carlo simulation-driven optimization technique. It helps make a balance between the tool material driven environmental burden and the user-defined maximum allowable cutting velocity. Exercising the strategy of high feed per revolution requires an innovative problem-solving procedure (e.g., TRIZ). It helps create novel solutions (e.g., an oval-shaped milling tool) that eliminate the causes of unstable cutting forces or vibrations when the tool passes over sharp corners. Thus, this study clearly shows that developing a milling tool from the viewpoint of sustainable manufacturing requires a multi-faceted approach. Similar strategies can be used to solve the problems involved in developing other cutting tools. A. Ullah, T. Akamatsu, M. Furuno, M. Chowdhury, and A. Kubo, “Strategies for Developing Milling Tools from the Viewpoint of Sustainable Manufacturing,” Int. J. Automation Technol., Vol.10, No.5, pp. 727-736, 2016. N. N. Global cutting tool market to reach US$22 billion in 2003, Metal Powder Report, Vol.53, No.2, p. 8, 1998. N. N. Report of the World Commission on Environment and Development. Annex to General Assembly document A/42/427, Nairobi, Kenya. United Nations, New York, 1987. Y. Umeda, T. Nishiyama, Y. Yamasaki, Y. Kishita, and S. Fukushige, “Proposal of sustainable society scenario simulator,” CIRP Journal of Manufacturing Science and Technology, Vol.1, No.4, pp. 272-278, 2009. Z. Bi, “Revisiting System Paradigms from the Viewpoint of Manufacturing Sustainability,” Sustainability, Vol.3, No.9, pp. 1323-1340, 2011. A. M. M. Sharif Ullah, A. Fuji, A. Kubo, and J. Tamaki, “Analyzing the sustainability of bimetallic components,” International Journal of Automation Technology, Vol.8, No.5, pp. 745-753, 2014. A. M. M. S. Ullah, H. Hashimoto, A. Kubo, and J. Tamaki, “Sustainability analysis of rapid prototyping: Material/resource and process perspectives,” International Journal of Sustainable Manufacturing, Vol.3, No.1, pp. 20-36, 2013. J. M. Allwood, M. F. Ashby, T. G. Gutowski, and E. Worrell, “Material efficiency: A white paper,” Resources, Conservation and Recycling, Vol.55, No.3, pp. 362-381, 2011. A. M. M. Sharif Ullah, K. Kitajima, T. Akamatsu, M. Furuno, J. Tamaki, and A. Kubo, “On some eco-indicators of cutting tools,” Proceedings of ASME 2011 International Manufacturing Science and Engineering Conference, MSEC 2011, Vol.2, No.2011, pp. 105-110, 2011. A. M. M. Sharif Ullah, A. Fuji, A. Kubo, J. Tamaki, and M. Kimura, “On the surface metrology of bimetallic components,” Machining Science and Technology, Vol.19, No.2, pp. 339-359, 2015. Y. Mizuno, Y. Kishita, S. Fukushige, and Y. Umeda, “Envisioning sustainable manufacturing industries of japan,” International Journal of Automation Technology, Vol.8, No.5, pp. 634-643, 2014. E. O’Driscoll, D. Ó. Cusack, and G. E. O’Donnell, “The characterisation of energy consumption in manufacturing facilities – A hierarchical approach,” International Journal of Automation Technology, Vol.7, No.6, pp. 727-734, 2013. N. Suzuki, Y. Morimoto, K. Takasugi, R. Kobashi, R. Hirono, Y. Kaneko, and Y. Tokuno, “Development of desktop machine tool with pipe frame structure,” International Journal of Automation Technology, Vol.9, No.6, pp. 720-730, 2015. S. Ogawa, S. Okumura, T. Hirogaki, E. Aoyama, and Y. Onchi, “Investigation of eco-friendly fixed-abrasive polishing with compact robot,” Advanced Materials Research, Vol.126-128, No.2010, pp. 415-420, 2010. H. Narita, “A method for using a virtual machining simulation to consider both equivalent CO2 emissions and machining costs in determining cutting conditions,” International Journal of Automation Technology, Vol.9, No.2, pp. 115-121, 2015. A. Ghandehariun, Y. Nazzal, H. Kishawy, and N. S. N. Al-Arifi, “Investigation of sustainability in machining processes: Exergy analysis of turning operations,” International Journal of Exergy, Vol.17, No.1, pp. 1-16, 2015. Q. Chang, G. Xiao, L. Li, and S. Biller, “Energy management in manufacturing systems,” Proceedings of ASME 2011 International Manufacturing Science and Engineering Conference, Vol.2, No.2011, pp. 119-125, 2011. T. Wakabayashi, S. Suda, I. Inasaki, K. Terasaka, Y. Musha, and Y. Toda, “Tribological action and cutting performance of MQL media in machining of aluminum,” CIRP Annals – Manufacturing Technology, Vol.56, No.1, pp. 97-100, 2007. I. Inasaki, “Towards symbiotic machining processes,” International Journal of Precision Engineering and Manufacturing, Vol.13, No.7, pp. 1053-1057, 2012. Y. Kaynak, T. Lu, and I. S. Jawahir, “Cryogenic machining-induced surface integrity: A review and comparison with dry, mql, and flood-cooled machining,” Machining Science and Technology, Vol.18, No.2, pp. 149-198, 2014. A. M. M. Sharif Ullah, M. Sato, M. Watanabe, and M. M. Rashid, “Integrating CAD, TRIZ, and customer needs,” International Journal of Automation Technology, Vol.10, No.2, pp. 132-143, 2016. A. M. M. Sharif Ullah and J. Tamaki, “Analysis of Kano-model-based customer needs for product development,” Systems Engineering, Vol.14, No.2, pp. 154-172, 2011. N. N. CES Selector, Eco-module, Version 5.1.0, Granta Design Limited, UK. A. M. M. Sharif Ullah, K. H. Harib, M. Awda, and S. Zenieh, “Application of Axiomatic Design Principles for Process Planning in Milling,” SAE Technical Paper 2009-01-0792, doi: 10.4271/2009-01-0792, 2009. 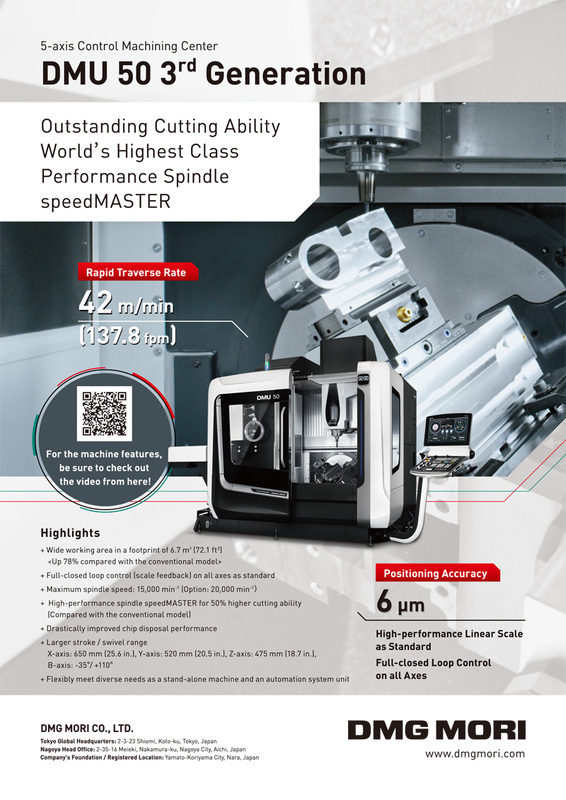 N. N. Cutting power for face milling, http://www.mitsubishicarbide.com/en/technical_information/tec_rotating_tools/ face_mills/tec_milling_formula/tec_milling_power_formula (last accessed on 17 May 2016). H. Schulz, “Machining concepts for high speed cutting,” Proceedings of the International Seminar on Improving Machine Tool Performance, La Baule, Frankreich, 2000. N. Diaz, M. Helu, A. Javis, S. Tonissen, D. Dornfeld, and R. Schlosser, “Strategies for Minimum Energy Operation for Precision Machining,” The Proceedings of MTTRF 2009 Annual Meeting. E. Abele, Y. Altintas, and C. Brecher, “Machine tool spindle units,” CIRP Annals – Manufacturing Technology, Vol.59, No.2, pp. 781-802, 2010. A. M. M. Sharif Ullah and M. Shamsuzzaman, “Fuzzy Monte Carlo Simulation using point-cloud-based probability- possibility transformation,” Simulation, Vol.89, No.7, pp. 860-875, 2013. G. Altshuller, “The Innovation Algorithm, TRIZ, Systematic Innovation and Technical Creativity,” Worcester, MA: Technical Innovation Center. G. Cascini, “TRIZ-based anticipatory design of future products and processes,” Journal of Integrated Design and Process Science, Vol.16, No.3, pp. 29-63, 2012.